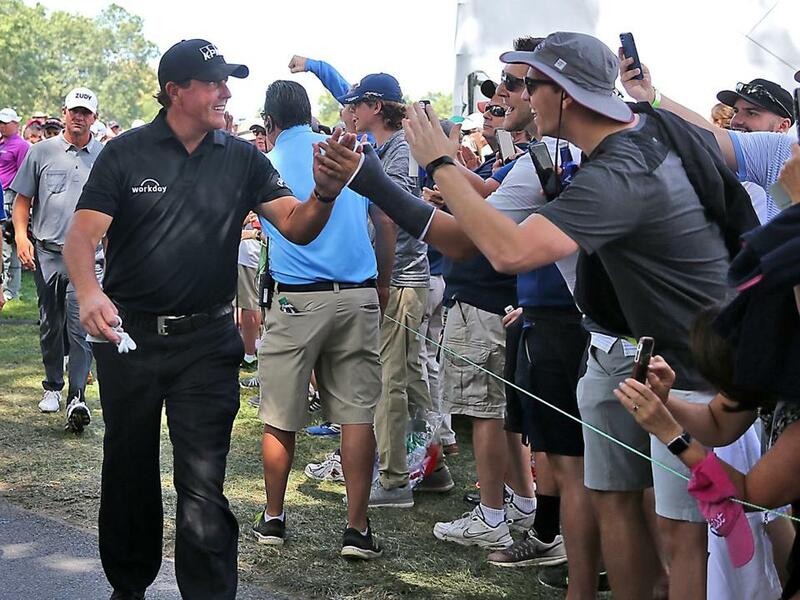 Phil Mickelson high-fived fans as he walked off the 16th green during the second round of the Dell Technologies Championship at the TPC Boston in 2017. The revised PGA Tour schedule is probably good for golf. But it’s definitely not good for the golf fans of Boston. How else could area fans feel after this week’s revelation that Boston will no longer hold a yearly stop on the golf calendar, alternating instead with the New York/New Jersey area to host The Northern Trust tournament? Such is the upshot for our area after the PGA Tour released its new schedule Tuesday morning: Scratch the Dell Technologies Championship (the one that used to be known as the Deutsche Bank Championship) off the calendar after this upcoming Labor Day weekend, when the final one will be held, and write in The Northern Trust. Because first, The Northern Trust stops at Liberty National Golf Club in Jersey City (from Aug. 5-11, 2019), returning to TPC Boston in Norton the following year. That leaves Boston without a PGA Tour stop in 2019, leaving fans who have proven their support and devotion over the years to an every-other-year opportunity to attend a local big-time tournament, leaving players without a regular visit to one of the East Coast’s most popular destinations. The Dell Technologies Championship will end after 2018, and Boston and the New York/New Jersey area will share The Northern Trust. 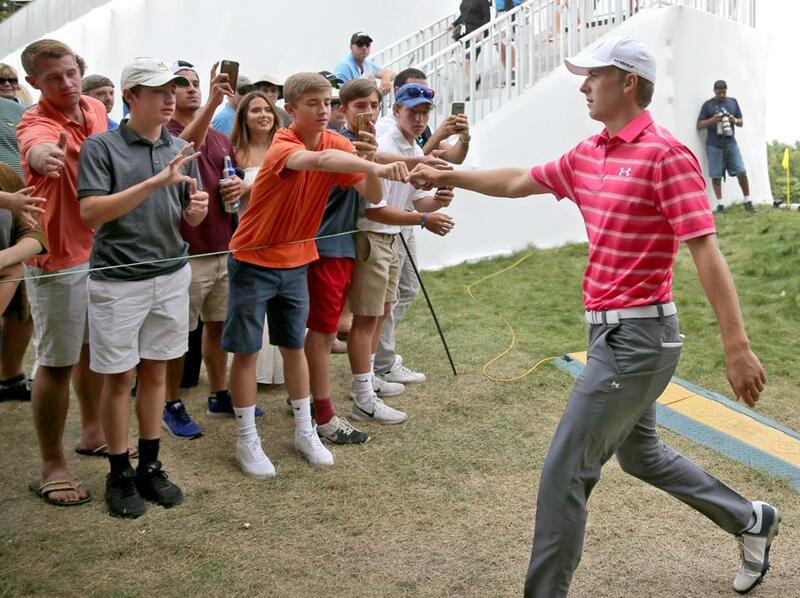 Jordan Spieth greeted fans as he walked off the 9th green during the second round of the Dell Technologies Championship at the TPC Boston in 2017. Of course the move makes sense on a larger scale and is part of the PGA’s overall move to streamline its schedule toward a championship crescendo, one that will resonate by the end of August rather than into September. That brings the dual benefit of avoiding direct competition with the beginning of the NFL schedule, while also taking advantage of the otherwise doldrum-like sports days of August. Golf certainly has its peaks in the crowded sports market, but as some of the game’s biggest draws — Tiger Woods, Phil Mickelson — head into the back nine of their careers, it’s not unwise to look for ways to pump up the television product and exposure. The new schedule is built with that goal in mind, awarding each month a signature event, all of them building toward the Tour Championship. The Players Championship has been moved to March. April still belongs to the Masters. May is now a major month, with the PGA moving from August. The US Open still owns June and the British Open (or simply The Open for purists) still owns July. That leaves August for the FedExCup, when golf hopes to capture the imaginations of fans not yet immersed in the NFL, not yet engaged by baseball’s pennant races, and still months away from the NBA and NHL openers. “We are extremely pleased with the way the schedule has come together, particularly with the number of changes that were involved and the strength of the partnerships required to achieve this new look,” said PGA Tour commissioner Jay Monahan. “It’s been our stated objective for several years to create better sequencing of our tournaments that golf fans around the world can engage in from start to finish. And again, for the game as a whole, this makes sense. Remember, the FedExCup playoff system only began in 2007, so tweaks and changes should be expected. Players were initially unsure about the notion of a wraparound schedule, but crafting the season more like the NBA, NHL, and NFL (baseball is a quintessential summer sport capped by a perfect Fall Classic) has ultimately been good for the game. The desire for FedExCup points and status has helped tournaments procure impressive fields, both early in the year with players looking to get a jump on the standings and late in the year with money on the line. Of course it’s not perfect, not as lower-ranked players lament the loss of that fourth playoff tournament, not as a compressed schedule puts added pressure on travel schedules, not as cities once accustomed to hosting major tournaments are forced to comply.